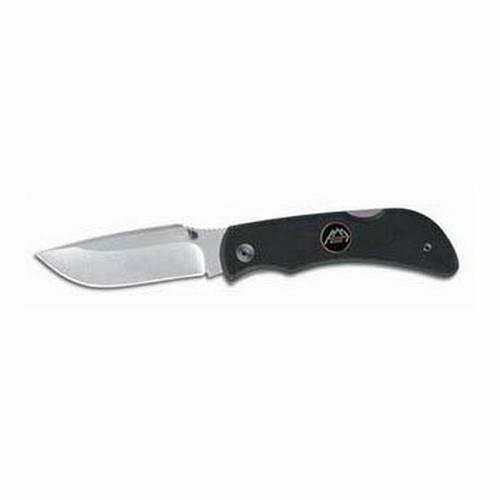 The Pocket-Lite is Outdoor Edge best selling folder with a classic drop point AUS-8 stainless blade. Includes a pocket clip for sheath free carry and double sided thumb stud for one hand opening. Outdoor Edge's folding knives combine quality materials and craftsmanship to provide years of reliable service. AUS-8 stainless steel blades are vacuum heat treated, subzero quenched and hand finished shaving-sharp for superior edge retention and performance. Specifications: - Blade Length: 3" - Overall Length: 7 3/8".